The animated version of The Grinch Who Stole Christmas surpasses Dr. Seuss's original book. The Best Version of The Grinch Who Stole Christmas Isn’t Dr. Seuss’s Book. It’s the Animated Special. The three words that best describe it are as follows: stone-cold masterpiece. There are several grounds on which you can make a straight-faced argument that the 1966 animated feature How the Grinch Stole Christmas! is superior to the classic Dr. Seuss volume from which it is adapted. 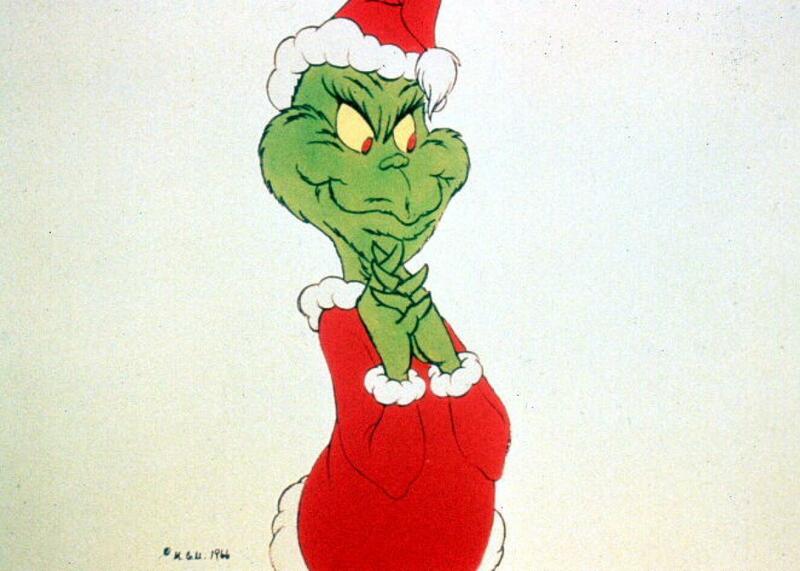 In the feature, directed by veteran animator Chuck Jones, the Grinch is green, a more appropriate shade for Seuss’s archvillain than the wan white of the book. In the feature, the inimitable Boris Karloff narrates, bringing a sonorous spookiness to the affair that only the most theatrical of parent-readers can hope to approximate. Seuss, who co-produced the special (he is credited as Ted Geisel), finagled a generous budget and put it to good use. The animation both captures the author’s iconic style and improves upon it: Witness the Grinch slithering around the Whos’ Christmas trees like a devilish serpent in the garden or the plaintive, fourth wall–breaking looks from Max, the Grinch’s dog and unwilling accomplice. But the strongest case for the feature’s superiority is the musical number at its two-sizes-too-small heart, “You’re a Mean One, Mr. Grinch.” It is easily the strangest, funniest Christmas song ever composed, a delightfully nasty number that could cut the treacle of a dozen sappy standards if only it got more radio play. You’re a three-decker sauerkraut and toadstool sandwich—with arsenic sauce! Your heart’s a dead tomato splotched with moldy purple spots, Mr. Grinch. assortment of deplorable rubbish imaginable mangled up in tangled-up knots! [Singing] Your heart is full of unwashed socks, your soul is full of gunk, Mr. Grinch. Such is the thankless nature of voice work that even your best performance can go unrecognized. The Grinch special failed to credit Ravenscroft as the performer when the special aired on CBS, leaving viewers to assume it had been Karloff, the narrator, who also belted out the tune. It’s a shame that Ravenscroft didn’t receive all the accolades he deserved for turning Seuss’s lyrics into this rousing exercise in derision. And while “You’re a Mean One” has its admirers, it’s a shame it doesn’t have a more prominent place in the popular Christmas songbook. Seuss’s brilliant stroke in writing How the Grinch Stole Christmas! was the realization that the holiday season had plenty of heroes—what it needed was a proper villain. And there’s no better paean to the season’s biggest stinker than this greasy black banana peel of a song. Update, Dec. 23, 2016: An earlier draft of this article was originally posted in error. The text has been updated to reflect the final version.